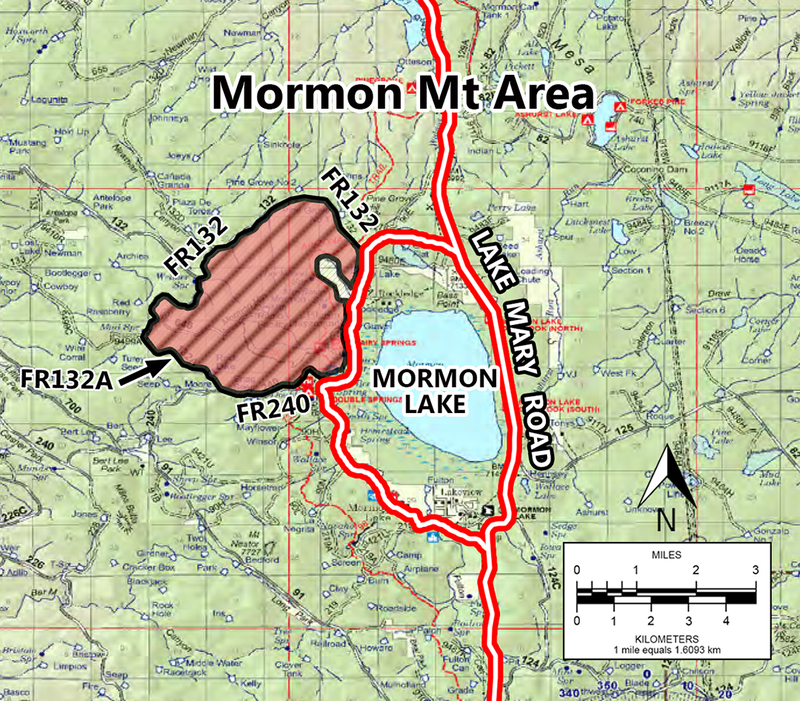 Black Canyon Lake, Black Canyon Rim Campground, Gentry Campground, and dispersed areas Brookbank, Eubank, Nelson Lake, Patrick Pond, Forest roads 171, 181, 9512E, 79 and Forest road 300. Alpine Divide Campground in the Alpine District. Promontory Point is closed also. Woods Canyon Recreation Area including Aspen Campground, Crook, Spillway, Woods Canyon Group Campgrounds., Willow Springs Lake and sinkhole campground, Canyon Point Campground, Mogollon and Rim Campgrounds, Chevelon Lake Campground, Chevelon Canyon Campground, Big Lake Campgrounds,Luna Lake, Winn, East Fork Campgrounds, Hannagan, Blue Crossing, Rolfe Hoyer and Benny Creek. Campgrounds in the Lakeside and Clifton District. PHOENIX, May 21, 2018 — For Immediate Release. Public safety concerns due to drought conditions, hot temperatures and increased fire danger are causing the Tonto National Forest to implement two area closures beginning at 6:00 am, on Wednesday, May 23, 2018. Areas outside of the closures will remain at Stage 2 fire restrictions. All Tonto National Forest Land north of Payson to the Forest boundary (Mogollon Rim) between the White Mountain Apache Reservation on the eastern boundary, and the Coconino National Forest on the western boundary. 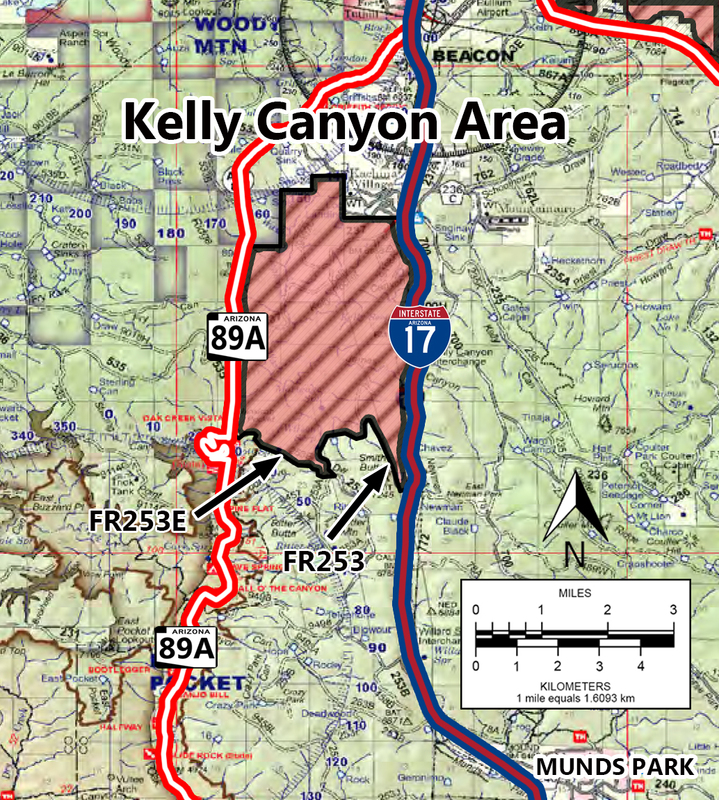 The southern boundary of the closure will start at the Fossil Creek Trailhead and head southeasterly along the powerline corridor to Arizona State Highway 87 into Payson and then follow Arizona State Highway 260 east from Payson, along National Forest System Road (NFSR) 405 and NFSR 405A to the National Forest System Trail 178 east along Haigler Creek to the White Mountain Apache Reservation. All National Forest System Lands, roads and trails within the Mt. Ord, Four Peaks and Three Bar Wildlife areas. 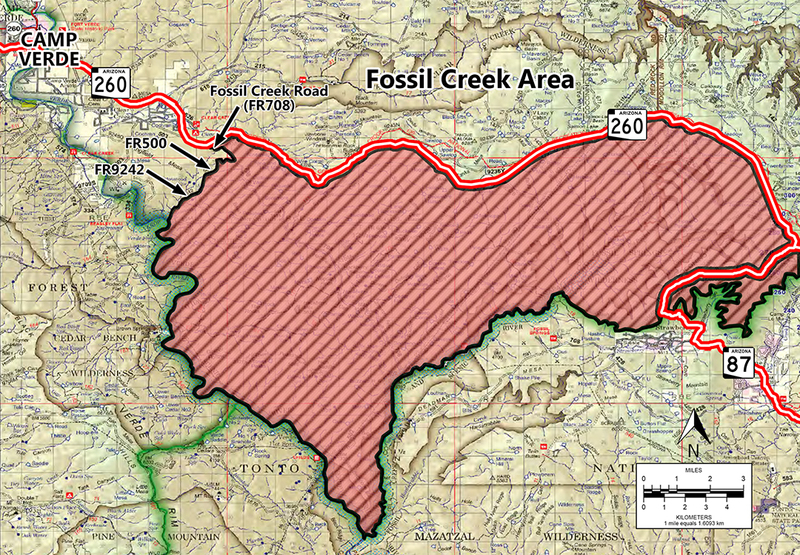 National Forest System Road 583 from State Highway 87 will remain open for access to Tonto Natural Bridge State Park. The Tonto Creek and Canyon Creek Fish Hatcheries operated by the Arizona Game and Fish Department will be closed for public access. Arizona State highways 87, 260 and 188 are open for public travel. County roads through the Tonto National Forest remain open unless the road is specifically closed by the agency managing the road. 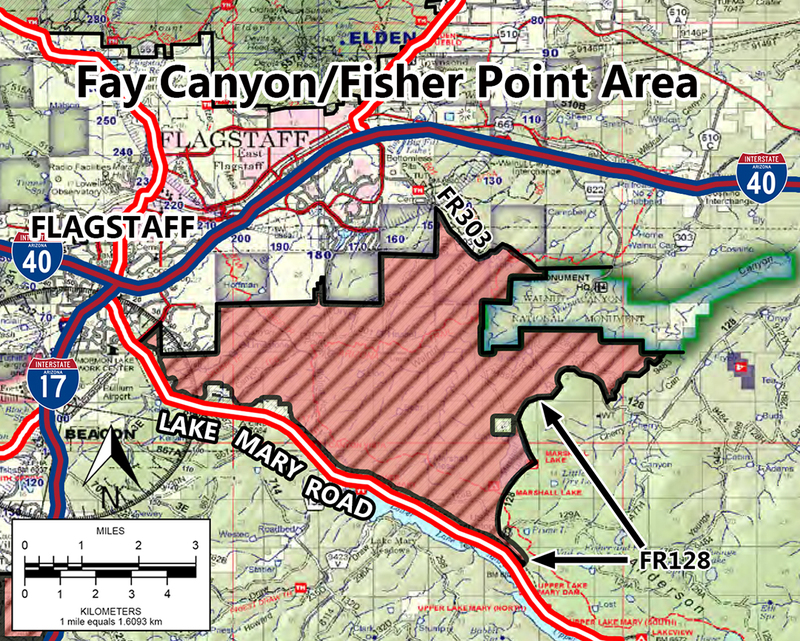 All national Forest System roads and trails within the area described above are closed. Owners and leases of private lands within the boundaries of the described areas may travel to and from their private property. The RV Dump site on the west side of State Highway 188 at Cholla Bay will remain open during regular business hours. 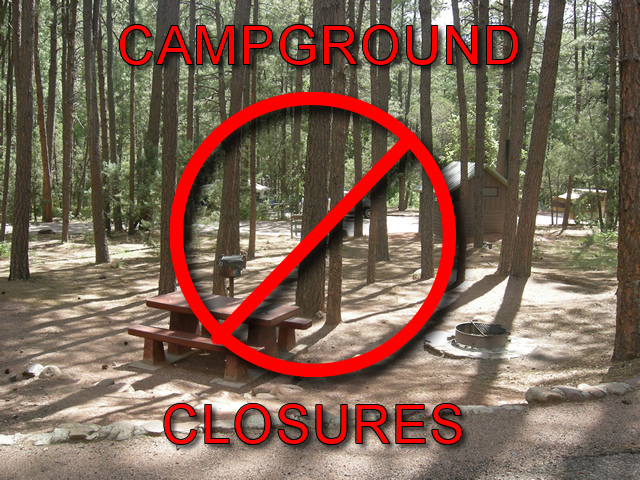 The Tonto National Forest wants concerned citizens to know that forest closures are not taken lightly, as they affect many people, businesses, partner agencies, important restoration and other work on the forest, and the public. When forest closures are in effect, everyone is prohibited from entering the forest including Forest Service personnel, unless they are responding to a wildfire or other emergency or patrolling to ensure enforcement of the closure. Work on thinning and other forest and watershed restoration projects ceases under a forest closure. 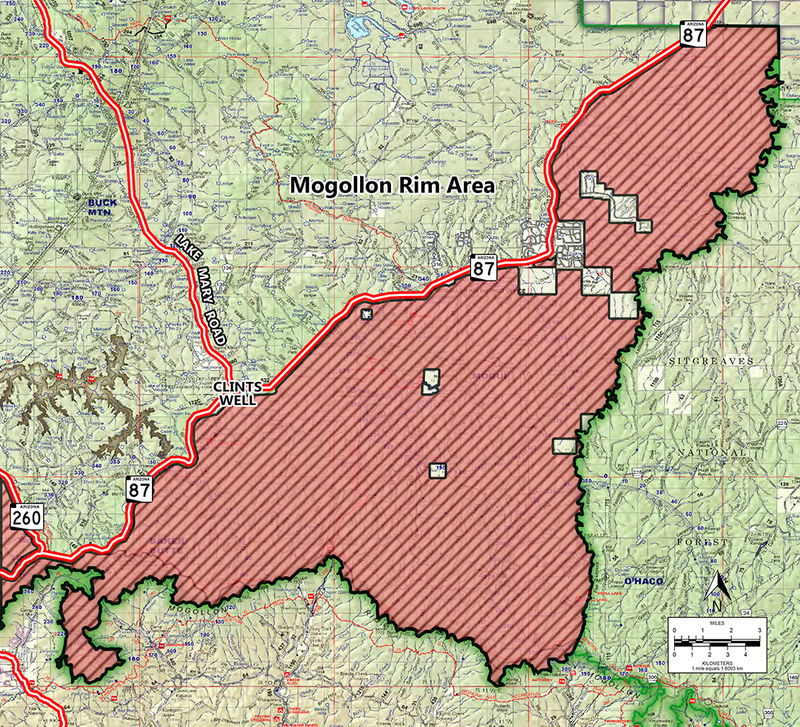 Partner agencies, organizations, concessionaires, outfitters, permit holders, and contractors, including utilities, are all prohibited from entering the forest to even make repairs or work on infrastructure running through the national forest. Only emergencies or other very limited exceptions are made. Violating Stage II fire restrictions or going into a closed area is a violation that carries a mandatory appearance in federal court. Violation of these restrictions is punishable as a Class B misdemeanor, which means a fine of up to $5,000 for an individual or $10,000 for an organization, or imprisonment of up to six months, or both. Fines and punishments are determined by a federal court judge.